You don’t have to walk down a cleaning aisle to find your best options for cleaning your home — Just open your pantry. 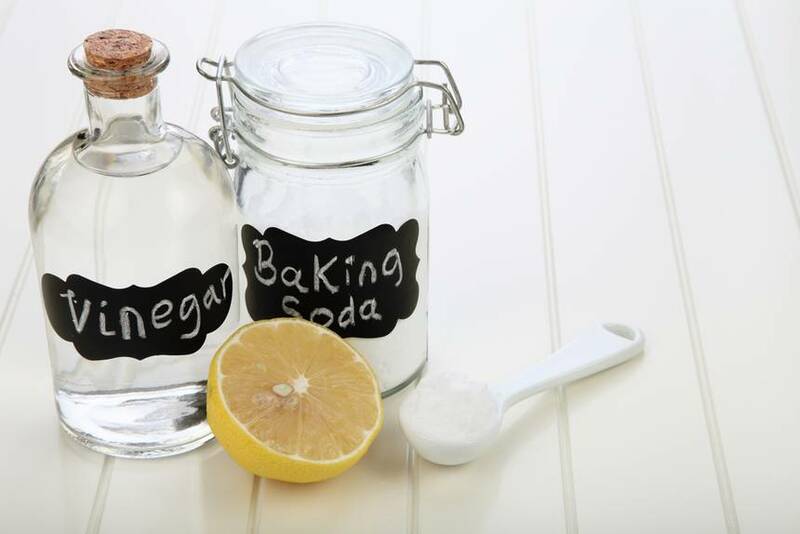 Vinegar, lemons, baking soda, and other natural cleaners do a fabulous job of cleaning, disinfecting, removing stains, and more. Vinegar cleans and deodorizes almost as well as most all-purpose cleaners. The recipe is to mix equal parts of water and vinegar in a spray bottle. Use this solution to clean most areas of your home. Don’t worry about your home smelling like vinegar. The smell disappears when it dries. However, vinegar can discolor or damage some surfaces, so test it on a hidden area first to make sure no color change or damage occurs. Improperly diluted vinegar is acidic and can also eat away at tile grout. Vinegar isn’t a good idea to use on marble surfaces, either. Bathrooms: Clean the bathtub, toilet, sink, and countertops with the 1-to-1 vinegar and water spray solution. You can also mop the floor in the bathroom with a vinegar and water solution. The solution will clean away soap scum and hard water stains on your fixtures and tile, leaving them shiny and beautiful. If you have unsightly rings in the toilet bowl, use pure vinegar there. Flush the toilet to allow the water level to go down before pouring the undiluted vinegar around the inside of the rim. Scrub down the bowl. Kitchens: Clean the top of the stove, appliances, and countertop surfaces with equal parts vinegar and water. Use vinegar to clean floors and be amazed at the fresh shiny results. Laundry rooms: Use vinegar as a natural fabric softener, which can be especially helpful for families with sensitive skin issues. Add1/2 cup of vinegar to the rinse cycle in place of store-bought fabric softener. Vinegar has the added benefit of breaking down laundry detergent more effectively. Try it to clean your washing machine as well. Lemon juice is another natural substance that can be used to clean your home. It can be used to dissolve soap scum and hard water deposits and it’s great for shining brass and copper. Lemon juice can also be used to treat stains given its natural bleaching qualities, but that can also be a drawback. It’s a good idea to test it out on a hidden area first. 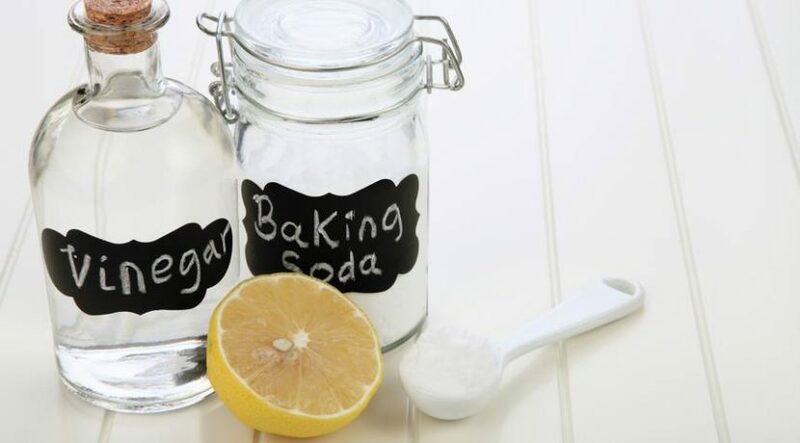 Mix lemon juice with vinegar or baking soda to make a cleaning paste. Cut a lemon in half and sprinkle baking soda on the cut section of the lemon. Use the lemon to scrub dishes, surfaces, and stains. Put a whole lemon peel or orange peel through the garbage disposal —it freshens the drain and the kitchen. Baking soda is one of the most versatile cleaners. It can be used to scrub surfaces in much the same way as commercial non-abrasive cleansers. Baking soda is also great as a deodorizer. Place a box in the refrigerator and freezer to absorb odors. In fact, put it anywhere you need deodorizing action: trash cans, laundry, and even your family’s super smelly sneakers. Baking soda makes a great addition in the laundry room as well. There are quite a few other options for natural cleaners. You might be surprised to learn that things like ketchup, rice, coffee grounds, and other kitchen ingredients can actually do a fantastic job at cleaning house. You can also always buy commercially available natural cleaners, but be aware of what you need to look for in a green cleaning product before you buy. Learn how to read labels on the products; many of these commercial products use natural ingredients that you may have in your home, but not all green cleaners are created equal.